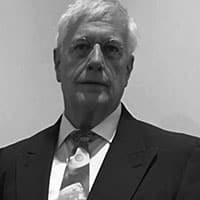 Home Investigations The Gordon Duff Files Bribed: Why is Trump Giving Nuclear Arms to Saudi Arabia? The fake media has forgotten and Google/Facebook has cleansed all history of Donald Trumps mid-election deals with Saudi Arabia. The best of all was the award of special licenses for “concierge services” inside Saudi Arabia. This gets right back to Trump family roots, as Trump himself terms it, “running sportin’ ladies.” To the rest of us, its human trafficking for which Trump was taken to civil, not criminal court in New York in 2017 and “settled.” Since that time, the Saudi Royal family has paid Jared Kushner’s bills, saving Jared and Ivanka from bankruptcy. Now they get their nukes. The Trump regime is officially transferring needed information for Saudi Arabia to produce modern thermonuclear weapons and has seen to it, despite secret demands by anti-proliferation experts at the UN’s IAEA, seen to it Saudi Arabia has tons of weapons grade plutonium and needed nuclear triggers. The US Department of Energy has always been run by a political hack like former Texas governor Rick Perry. Perry, a longtime shill for the oil industry and paid anti-environmentalist, with absolutely no knowledge of nuclear energy, now oversees America’s nuclear weapons program and authorized personally the transfer of technology now exposed as pure weapons tech, nothing else. The IAEA, whose investigator on Saudi issues spoke with us in February 2019, has put Saudi Arabia on an official “public” nuclear weapons watch list. Privately, they long ago cited Saudi Arabia for purchasing nuclear weapons from China, Israel and now “renting them,” according to confirmed sources, from Pakistan who is being blackmailed by military threats from India that are orchestrated by Israel. India’s PM, Modi, is being blackmailed by Netanyahu just like Trump, and one other we aren’t going to mention out of fear of retaliation. Mind you, this is the same Saudi Arabia that, along with Israel and traitors in the White House and Pentagon, attacked the United States on 9/11. With Israel issuing direct threats against both Syria and Iran of thermonuclear devastation if either nation retaliates against Israeli bombing attacks, the world moves closer to the brink. Many factors, including and especially Israel’s internal political collapse, are pushing the world toward a wider conflict. American political instability makes things even worse. What has been ignored is the level of threat Saudi Arabia represents, a politically primitive nation with a massive defense budget and some very dark secrets, some of which will be revealed here. Too many in the world believe that “cooler heads will prevail,” perhaps like they did in August 1914? The point is simple, what the public knows, what the public believes, about the nature of nuclear weapons, who has them, how many are out there, and how political and military leaders almost continually advocate their secret use, is fantasy. The truth is out there, but real whistle blowers seldom live to tell the tale. Some do, and I know them. You see, most nations have secret organizations, usually military commands, that investigate not only nuclear proliferation but monitor the use of nuclear explosives. Old design nukes only burned a bit of their cores, leaving the rest as fallout. New ones are clean, no leftover radiation at all, cheap to build, simple in design and any nation that wants nuclear weapons can have them and, according to sources, many do. To begin with, let’s talk about Saudi Arabia. Saudi Arabia has a larger military budget than Russia, but Russia spends much of their budget on a huge standing army, a significant navy, dozens of nuclear submarines and a massive thermonuclear missile capability supported by an equally huge stockpile of nuclear weapons. Saudi Arabia spends more than Russia but has a small navy, a very small standing army, mostly foreign mercenaries or troops “hired” from “allies.” Their budget makes no sense unless you examine it carefully. Saudi Arabia spends up to 40% of its military budget on nuclear weapons and delivery systems. This is why they are caught lying so often when claims are made about how many weapons they buy each year from Britain and the US. The real delivered numbers are miniscule and Saudi Arabia depends on American bombs, American refueling and even Israeli planes in their war on Yemen. “Washington (CNN) President Donald Trump says he doesn’t want a $110 billion arms deal he brokered with Saudi Arabia to unravel over allegations the Gulf kingdom murdered a journalist at its consulate in Turkey. But his comments are missing the mark on a key fact: Saudi Arabia has so far only followed through on $14.5 billion in purchases. Saudi Arabia began acquiring uranium processing equipment from Germany, high speed centrifuges to produce uranium 235 at weapons grade during the 1970s. 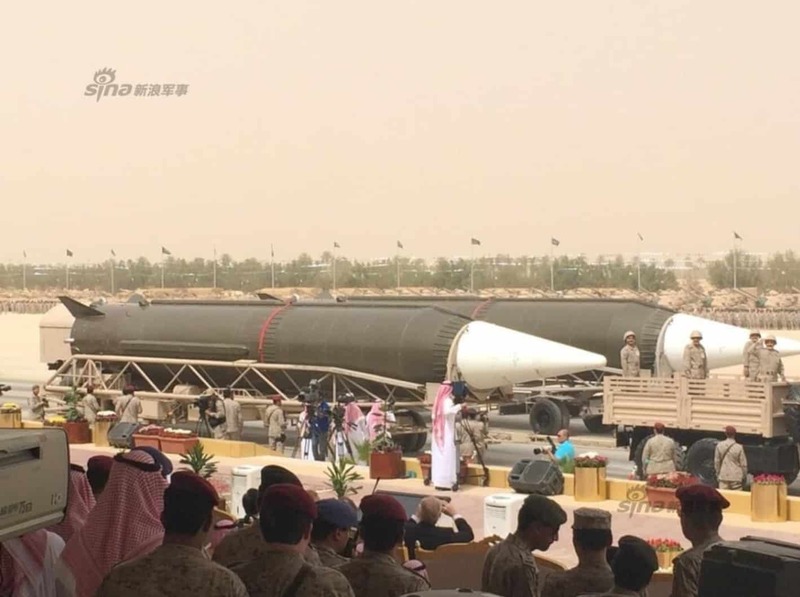 “In 1987, Saudi Arabia purchased Chinese-made CSS-2 intermediate-range ballistic missiles designed and used by the Chinese as a nuclear-armed missile, but reportedly sold to Saudi Arabia with conventional high-explosive warheads. However their low circular error probable accuracy (1–1.5 km) makes them unsuitable for effective military use against military targets when carrying a conventional warhead. The CSS-2 has a range of 4,850 km with a payload of either 2,150 or 2,500 kg. These missiles were delivered with between 50 and 35 transporter erector launcher trucks. These missiles were the first weapons of the Royal Saudi Strategic Missile Force, a separate branch of Saudi Arabia’s armed forces. 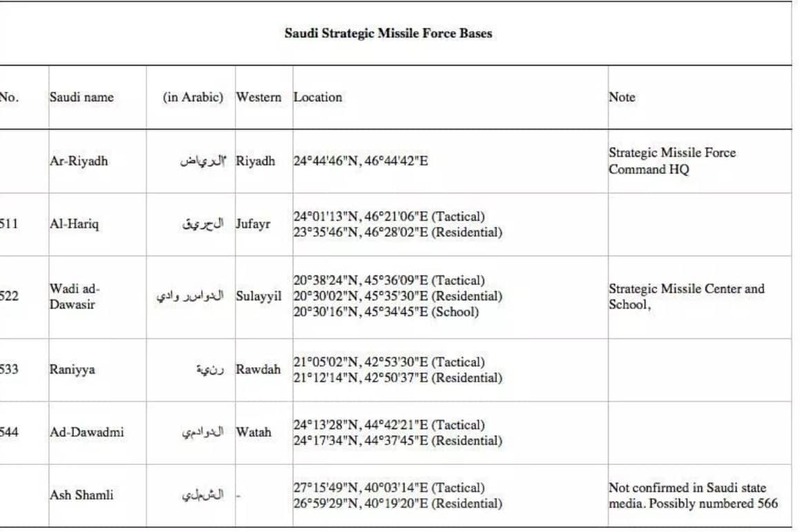 In 2013 the existence of the Royal Saudi Strategic Missile Force was officially announced. The next supplier was Israel. That nation had been working with South Africa and, between 1975 when those nations signed a secret nuclear accord, and September 22, 1979, when the first South African nuclear device, a 13.2 kiloton (80ms “double-flash”) was exploded on a barge adjacent to Prince Edward Island, several hundred miles south of Cape Town. That technology, developed at the Armscor at Pelandaba, has long been known publicly. That British companies backed the process and that Saudi Arabia aided in financing is not publicly known. Though “packaged” as a revelation, in fact the information which seems to damn both Israel and Saudi Arabia, in fact covers for 40 years of cooperation in nuclear weapons research and production. Saudi Arabia’s next foray into nuclear partnership touches on Pakistan. Since 1979, Pakistan has deployed troops in Saudi Arabia, ostensibly to defend that nation, remember, a nation with a military budget larger than Russia, from Iran. By 1982, a protocol was signed and forces, number officially up to 20,000, have been deployed in Saudi Arabia. According to our sources, among them, in most recent years, have been highly trained specialists to secure a Pakistani nuclear arsenal including nuclear tipped missiles, deployed inside Saudi Arabia, “rented” as it were, as a deterrent against Iran. Saudi Arabia has long conspired against Iran along with Israel yet, quite obviously, it is Saudi Arabia that would suffer the brunt of Iranian retaliation were a secret nuclear attack on Iran to be staged from Saudi Arabia or using Saudi airspace. Were one to delve further into the intricacies of geopolitics, India’s political alliances, their dance between Russia and the US, and the secret military cooperation agreements between Israel and both India and Pakistan, something I discussed during an interview with then ISI Director Ahmad Shurja Pasha in 2011, weigh heavily on Saudi Arabia’s security concerns. Suffice it to say, though there is no public discussion of Saudi Arabia’s nuclear program other than those indicating it has gone on for decades and is, perhaps, the most unsuccessful such endeavor in planetary history, a very real arsenal exists and, according to highly knowledgeable sources, the Kingdom has deployed nuclear weapons against Yemen on several occasions. A source at the IAEA claims, backed by a 2006 secret report from Global Security, that the 1996 Khobar Towers bombing, blamed on an Iranian backed Saudi faction, was, in fact, a nuclear explosion. The report quotes the Defense Special Weapons Agency, established on 29 January 1947 by the Atomic Energy Commission under the Atomic Energy Act of 1946 (Public Law 585, 79th Congress) to oversee and investigate the use of nuclear weapons and their impact on the security of the United States. The conclusion of the report, redacted from public view, concluded that the Khobar Towers were destroyed by a tactical nuclear munition equaling 100 tons of TNT. “ON JUNE 25, 1996, SAUDI TERRORISTS SPONSORED BY IRAN ATTACKED THE KHOBAR TOWERS BARRACKS, A HIGH-RISE BUILDING COMPLEX IN A DENSELY POPULATED URBAN ENVIRONMENT IN SAUDI ARABIA. THE TANKER TRUCK LOADED WITH AT LEAST 5000 POUNDS OF PLASTIC EXPLOSIVES WAS DRIVEN INTO THE PARKING LOT IN FRONT OF THE KHOBAR TOWERS RESIDENTIAL COMPLEX IN DHAHRAN. NINETEEN AMERICAN SERVICE MEMBERS WERE KILLED IN THE BLAST, AND HUNDREDS OF OTHER SERVICE MEMBERS AND SAUDIS WERE INJURED. The real conclusion of the report was, in fact, that Saudi Arabia had staged the attack themselves in an attempt to push the US into a war with Iran. A very similar report was issued by the same agency, working with the IAEA and US Department of Energy, in 2003, offering their theory as to the events of 9/11. That report remains classified. “IN THE MINDS OF MOST PEOPLE, A NUCLEAR WEAPON IS A LARGE DEVICE CARRIED ON THE TIP OF AN ICBM OR CARRIED IN THE BELLY OF A HUGE BOMBER AIRCRAFT THAT WHEN DEPLOYED PRODUCES A COLOSSAL EXPLOSION AND SPECTACULAR MUSHROOM CLOUD JUST LIKE ALL THOSE TERRIFYING 1950S NEWSREELS. HOWEVER, THIS IS NO LONGER THE CASE – NUCLEAR WEAPON DESIGN IS SEVERAL GENERATIONS IN ADVANCE OF THE BULKY DEVICES OF THE COLD WAR AND TODAY, A WIDE VARIETY OF TYPES OF NUCLEAR WEAPON EXIST AND THEY COME IN ALL SIZES FROM THE SMALLEST ‘MICRO NUKES’ WITH YIELDS MEASURING IN HUNDREDS OF TONNES OF TNT EQUIVALENT UP TO TRULY MONSTROUS TWO AND THREE STAGE BOMBS WITH YIELDS OF MANY MILLIONS OF TONNES OF TNT (MEGATONNES). THE MEGATONNE CLASS BOMBS HAVE NEVER BEEN DEPLOYED IN ANGER; IF THEY HAD, THERE WOULD BE NO POSSIBLE WAY TO KEEP IT A SECRET – THE DEVASTATION AND FALLOUT WOULD BE ON SUCH A GRAND SCALE AS TO BE IMPOSSIBLE TO HIDE. HOWEVER, THE SUB-KILOTONNE MINI AND MICRO NUKES HAVE BEEN USED MANY TIMES, BOTH IN FALSE FLAG ‘TERRORIST’ ATTACKS LIKE 9-11 AND OK CITY AND IN MILITARY CONFLICTS IN COUNTRIES SUCH AS IRAQ, SYRIA AND YEMEN. THE SMALL YIELD AND LIMITED DESTRUCTION OF THESE MINI AND MICRO NUKES MEANS IT IS POSSIBLE TO KEEP THEIR USE SECRET; ESPECIALLY WHEN THE MEDIA ARE COMPLIANT AND WILLFULLY IGNORE ANY AND ALL INSTANCES OF THEIR USE. THE WILLINGNESS OF SEVERAL PLAYERS TO USE THESE DIABOLICAL WEAPONS SHOULD SEND A CHILL DOWN THE SPINE OF EVERY SENSIBLE PERSON – WE ARE LIVING IN A NEW NUCLEAR AGE FAR MORE DANGEROUS AND DEADLY THAN THE PREVIOUS COLD WAR ERA WITH ITS BALANCE OF NUCLEAR POWER HELD IN CHECK BY THE TERRIFYING CONCEPT OF MUTUALLY ASSURED DESTRUCTION. “IN THE NEWEST 5TH GENERATION DEVICES THE URANIUM OR PLUTONIUM FISSILE CONTENT HAS BEEN DRASTICALLY REDUCED BY AS MUCH AS 90% ONLY LEAVING ENOUGH FISSILE MATERIAL NEEDED TO IGNITE AND TRIGGER THE INTERNAL FISSION-FUSION-FISSION REACTION OF THE DEUTERIUM BOOST GAS. IN THIS PROCESS, ALMOST ALL OF THE FISSILE MATERIAL IS TOTALLY CONSUMED, PRODUCING ALMOST NO DETECTABLE TRACES OF FALLOUT, AS COMPARED TO THE OLDER DESIGNS FROM THE WW2 ERA. By and large, when the public evaluates, using such tools as it is allowed, the actions of leader, of policies followed, all soaked in spin and rhetoric, it does so with both hands tied behind its back. Saudi Arabia’s nuclear story, one only touched on here, is one story. There are many, Brazil, Japan, Canada, South Korea, Taiwan, so many more stories, so much fakery hidden behind the classified reports of agencies no one has heard of. Thus, when the princelings of the Saudi kingdom order killings, fund terrorism and threaten their neighbors, they do so with a nuclear capability, enabled by those who lie for them, those who armed them, those who keep their secrets. In an interview with CNN, a question about whether Riyadh will manufacture a bomb on its own. “If Iran has nuclear capabilities, we will do everything we can to do the same,” he said. The Saudi Crown Prince said in March, during his visit to the United States, that the Kingdom would develop and possess a nuclear weapon if Iran had a nuclear bomb. Although these statements are linked to the developments in the Iranian nuclear file, just before and after US President Donald Trump’s decision to get Washington out of the nuclear deal, Saudi Arabia’s talk of seeking a nuclear bomb is not new. Experts and analysts have questioned how the kingdom possesses nuclear weapons. The question is: Will Riyadh manufacture it or buy it from a nuclear country? And talk here about Pakistan, amid talk about a Saudi contribution to finance its nuclear project since the nineties of the last century. “Saudi Arabia is a nuclear state when it wants to be nuclear.” There is a new old saying that whoever has the best weapon is the strongest, so countries are constantly developing and modernizing their military forces to protect their territories and impose their voice on the international scene.According to private sources, it is located at the base of the giant “Saudi Scion”, located about 500 km south of Riyadh. The Chinese government has built a number of 30 to 60 ballistic missiles (CSS-2-DF-3A-EastWind), but some extremist sources claim there are 120 missiles and not 60, In addition to a Saudi Air Force base, 25 Tornado aircraft are likely to protect the base, with 8 Tornado aircraft in the air permanently. In 1980, the Saudi government exploited the tense global situation in the wars between the Soviets and the Afghans on the one hand and between Iraq and Iran on the other. The CIA was preoccupied with espionage operations in these countries. The Kingdom signed an arms deal with the Chinese government – The United States – in a deal valued at (3.5) billion dollars to provide Saudi Arabia with missiles (CSS – 2) and to establish a base for that purpose, and there were 1000 Chinese engineers and trainers to train Saudi officers to manage and lead the weapons, On the use of those missiles in training programs with Pakistan and the Iraq cost (750) million dollars.According to official sources , the Kingdom and Pakistan signed a deal to supply Saudi Arabia with Pakistan-based ballistic missiles called Tipu, which is powered by dry fuel and equipped with nuclear warheads. The range ranges between 4000-5000 km. The aim of this deal is to introduce all bases And the introduction of a large number of European countries as well as vast areas of India in the range of the new Saudi nuclear missiles. This file is still very vague and the Saudi government is silent about it, as it did not deny the existence of a deal to buy ballistic missiles from Pakistan. Pakistan has placed two nuclear weapons at the disposal of Saudi Arabia at the base of “Kamra” in the north of the Pakistani Atok region. Pakistan has also sent the latest model of the Ghauri-II missile after developing its range to 2300 km to Saudi Arabia. The rockets are now in the silos at the Saudi base of Al-Salil south of Riyadh. There are at least two large transport planes with their crews belonging to Saudi Arabia in the Pakistani base and are on standby to take off after receiving a reference from the young Crown Prince Mohammed bin Salman and information which we have obtained from the transfer of nuclear weapons from Pakistani warehouses to Saudi transport planes is superficial and does not indicate whether the weapons will be transferred by exchange of symbols with the Pakistani army or deal directly. The only detail we have obtained from Gulf sources is that the weapons are located in a separate location from the rest of the Pakistani army’s weapons and under heavy guard, and was visited by the Crown Prince of Saudi Arabia last month for this purpose. According to our sources in the coming weeks, King Salman will abdicate to his reckless son Mohammed bin Salman. Jeff Smith is a particle physicist who spent years with the weapons design program of the US Department of Energy. Jeff has worked as an IAEA inspector around the world and is the “go to guy” on classified nuclear proliferation issues, why VT is a leader in reporting on the secret use of nuclear weapons. In the last year we have covered a number of incidents where nuclear weapons have been used; from exposing the truth about the nuclear nature of the destruction of the WTC on 9-11 to being the only media outlet to cover the nuclear explosions in China. In the minds of most people, a nuclear weapon is a large device carried on the tip of an ICBM or carried in the belly of a huge bomber aircraft that when deployed produces a colossal explosion and spectacular mushroom cloud just like all those terrifying 1950s newsreels . The small yield and limited destruction of these mini and micro nukes means it is possible to keep their use secret; especially when the media are compliant and willfully ignore any and all instances of their use. The willingness of several players to use these diabolical weapons should send a chill down the spine of every sensible person – we are living in a new nuclear age far more dangerous and deadly than the previous Cold War era with it’s balance of nuclear power held in check by the terrifying concept of Mutually Assured Destruction. Now that advanced nuclear weapons have become part of the playbook of modern conflict it becomes important to understand something about these weapons; to learn how their characteristics and effects so that it becomes ever harder to keep their use secret. In the original first generation solid core fission device, developed during World War 2 and known as ‘Fatman’; a solid core plutonium pit was compressed to less than 75% of its original size in order to create a critical mass. In this 70 year old design, the fission process was bound by the use of high yield explosive compression.. This first atomic weapon used about 5,000 lbs of explosives and 32 shaped charges to shock compress about 10 KG of plutonium from its molecular delta state into its alpha state, massively increasing its density per cubic centimetre. By doing so it created a neutron means free path of about 35 centimetres or less in length and it was able to just hold it all together long enough in time to produce about 80 to 100 generations of neutron multiplications. Thus forming a super critical mass that produced an estimated yield of about 15 to 20 KT of TNT. 35 centimetres or about 14 inches is the average distance traveled by a free neutron before it strikes another atom of plutonium and splits it, causing a nuclear chain reaction to occur. The distance traveled by a neutron, along with the time required to travel this distance (also called the assembly time) is the key to forming a critical mass in any fissile material. If the assembly time is to slow or not enough neutrons are generated in time, the weapon will fizzle producing a much lower yield. Usually at about 5 KT. Verified by testing during the 1950’s. However if it gets past the first 56 neutron generations it will still go bang, and if it reaches about 80 neutron generations it will explode at full yield. Any new neutron generations added above the first 80 generations, (that occur before final disassemble of the core occurs), will simply add to the efficiency and yield of the device. All of this activity takes place in less than a few microseconds and the neutron chain reaction producing the explosion is over before you see the first flash of light. The high temperature plasma fire ball and shock wave that is created during the explosion is simply the remnants of unburned fissile material and its isotopes produced during the fissioning of the uranium or plutonium atoms rapidly undergoing thermal expansion in the atmosphere until cooled. This thermal expansion and cooling of hot gases forms the classical mushroom cloud. The ratio of nuclear fissile material that is required to produce a certain blast size is based on a ratio of about 1 KG of PU 239 per 1 to 2 kilotons of explosive power depending on implosion efficiency. As the compression of the fissile material is increased, the amount of fuel required to create a critical mass is reduced. Using a neutron tamper and reflector will also help reduce the size by up to half. Currently a compression level of up to 4 to 1 is the maximum amount that can be achieved with current explosive technology. This is enough to reduce the critical mass to about 2.5 kilograms with a lower maximum explosive yield of about 2 to 5 kilotons in size. If a proper neutron moderator is used, lower values can be achieved resulting in a much smaller blast, but a much longer fireball burn time. The minimum tested amount was publicly set at about 800 grams or about 1 lb of PU239, producing a yield between 10 and 100 tons of explosive force. This was done back in 1958, and it was designed by the physicist Ted Taylor. It became the W-58 weapon series of small artillery shell weapons. In the original WW2 fatman weapon design, about 10 KG of plutonium was used, and only about one to two kilograms of PU was fissioned off before final dissemble of the nuclear core occurred. The other 80 to 90% of the un-fissioned material wound up being fallout. Solid core fission devices are very inefficient due to the fact that about 90% of the fissionable material is only used as a neutron multiplier, and it is only the last 10 to 20% of the outer nuclear core that produced the explosive blast effect. ‘Fatman’ weapon being prepared for use on Tinian Island, August 1945. This is why solid core nuclear weapons are no longer used. They are extremely inefficient. They are very large and bulky in size and they require a sophisticated multipoint, electronically controlled, shape charge, implosion system to function properly and they create large amounts of fallout. Even thou there were no civilian personnel immediately killed by fallout at Hiroshima and Nagasaki, this was due to the fact that all casualties were caused by prompt radiation exposure from the original blast and follow on radiation poisoning. Shaped charges being assembled around the fission core of Fatman. Solid core implosion systems using pu-239 also require an inherently fast assembly time due to prompt radiation problems with pu-240 impurities contained within the plutonium fuel. This problem gets worse as the plutonium ages, eventually forcing the retirement of the nuclear pit or core. This is why we now have over 6,000 surplus plutonium pits held in surplus cold storage. After about 16 to 32 years, the pit has to be remanufactured, and it is a costly and toxic process. So it was deemed to be cheaper and easier to just keep making new pits and worry about recycling the older junk warheads later. However with U-235 uranium-based weapons and hollow core boosted fission fusion weapons, you do not have this problem. This is why all modern nuclear weapon designs since about 1960 use this newer third generation process. First off U-235 based weapons do not have an aging problem; they are good for over 100 years and then some. The only reason why they chose the much more expensive and toxic plutonium route was simply because at the time back in 1945 they could produce 4 times more PU-239 than they could produce enriched U-235 uranium, meaning more bombs faster. The WW2 plutonium production rate after January of 1945, was set at 1 bomb per every 10 days of reactor operation, versus 1 bomb every 30 to 45 days with enriched uranium production. If Japan had not surrendered, they were going to drop one bomb on Japan every two weeks until there was no Japan left. However with the smaller, cheaper and more easily produced uranium-based weapons that required no reactors whatsoever to produce, it was too little too late. Plutonium won the weapons race, and this remained the case all the way through the Cold War with Russia and China. Now 70 years later, someone has to clean up the mess that Oppenheimer, Teller and Groves made. Fortunately for them and probably for us, they are long gone, so they don’t have to clean up the mess that they made. The US alone has over 100 tons of enriched u-235 uranium that is good for 100 years more as weapons grade fuel, plus more than another 100 tons of weapons grade plutonium pu-239 sitting in cold storage just rotting away and radioactive for another 10,000 years. Nuclear waste has to be buried for a very long time before it’s deadly radiation has decayed to safe levels. Fortunately someone sane recognized this and finally stopped production of replacement weapons grade fuel by shutting down all of the production reactors that made this stuff. 6,000 surplus warheads is more than enough. 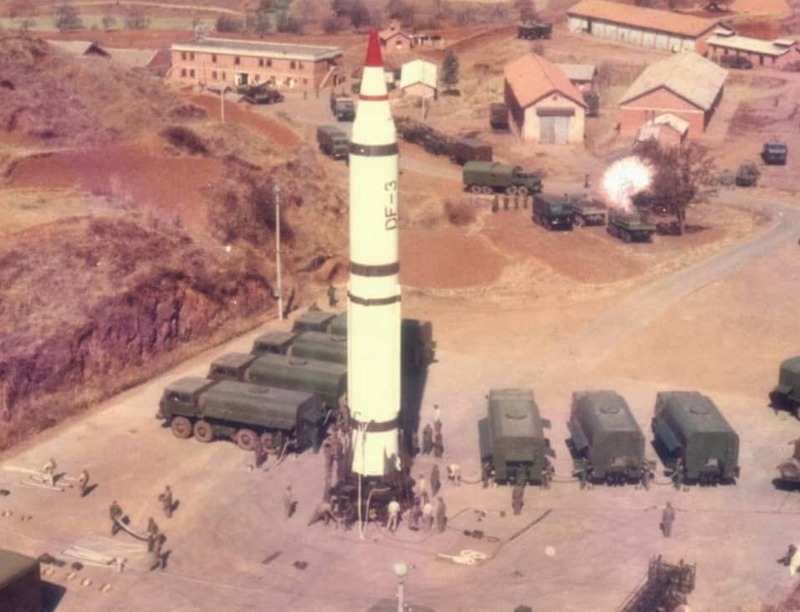 Second generation nuclear weapons were the so-called massive hydrogen bombs of the 50’s and 60’s deemed obsolescent by better and more accurate missile guidance systems, multiple reentry vehicles and newer miniaturization technologies that came on line. Third generation weapons were the miniaturized designs using hollow core and boosted fission technology during the 60’s and 70’s allowing for much lower yield weapons and the so called “Dial-A- Yield” designs. Fourth generation nuclear weapons were produced during the Reagan Star Wars program of the 1980’s thanks to Mr. Teller and were basically what is called “directed energy” or “enhanced energy” weapons “neutron, X-ray, Gamma-ray, EMP” bombs, including super lasers. Fortunately, none of it ever worked as sold, but it did vastly increase our technological knowledge and that has now lead to the creation of the latest fifth generation weapons, which are still clouded in much secrecy. As far back as the mid 1950’s, work began on the first levitated pit designs that placed an air cushion between the inner and outer core of a single stage plutonium based implosion design. This air core doubled the shock wave velocity of compression allowing for a bigger bang for your buck. Forty plus kiloton weapons could now be made with simple, single-stage implosion designs, doubling existing yields. As ICBM’s took over the job from the B-52 and the air dropped weapons which were being deployed at the time, miniaturization of nuclear weaponry rapidly kicked in. Two techniques for nuclear miniaturization were devised. The first simply just shot two slugs of uranium U-235 into a neutron rich target called an urchin or neutron generator. When the two subcritical masses of uranium collided with the neutron rich urchin and axially compressed by explosives a critical mass was formed and bang. This reduced the size of a uranium based gun implosion weapon system from 10 feet down to 3 feet and only 18 inches in diameter. It was sweet, safe, simple and very reliable. It also reduced the weight from 5,000 lbs to less than 1,000 lbs. A big deal back then. An entire series of primary fission weapons have since been based on this basic design, including the B-61 series still used today. By simply varying the implosion velocity the yield of the weapon could be changed to a lower number. This was an early “dial a yield” design. Later after many tests it was determined that the amount of fissile material could be reduced to a very small amount and the design would still work. This was the basis of the first mini or micro nuke designs of the 1960’s and 70’s mainly used at the time as first stage nuclear triggers for much larger hydrogen bomb designs. After the levitated pit and “two point” uranium gun based implosion systems were worked out in the late 1950’s more advanced two point and even single point plutonium based spherical implosion systems were invented. These systems basically used the inside out principle of the original H bomb design. By simply filling a hollow core spear made of fissionable material either uranium or plutonium with a neutron based boost gas such as deuterium or a solid such as lithium-6 that turns into deuterium when properly compressed, you get a miniaturized hydrogen fusion-fission-fusion bomb design or weapon. This opened Pandora’s box for all current miniaturized nuclear weapon designs since then and in the future. It also eliminated the minimum critical mass problem with older WW2 era solid core plutonium pit designs and pre detonation timing problems. 32 point compression was now down to two or even single point compression making weapons designs so small that they could fit in a 155 mm artillery shell. The average size of a nuclear primary is now down to less than 6 X 12 inches or less with verified yields as low as .05 kilotons. W-48, W-58, B-61 etc. That’s equal to about 50 tons of TNT, but large enough to set off a fusion secondary of a much greater size if needed. look it up on Wikipedia if you don’t believe me. Due to the newer inside out boosted gas compression systems coming on line in the 1970’s, a much environmentally cleaner (or greener) burning weapon came into being with fallout issues becoming almost nil. These newer 3rd, 4th, and 5th generation hollow core boasted weapons designs produce very little fallout, if any at all, due to the fusion process consuming almost all of the fissile material during detonation. Low end yields of very high efficiency can be easily created with no minimal critical mass problems to overcome. Their efficiency is so high that they only require one tenth the amount of fissile material that previous designs needed. Even lower grade blends of non weapons grade plutonium (less than 92% pure) will work just fine. So any nation with a nuclear power reactor and a uranium or plutonium chemical separation program could easily make them. IE North Korea, Iran, Germany, Japan etc. Hydrodynamic implosion testing is minimal in very small devices such as this in order to get one to work. The only hard part is the metallurgy and the chemical separation process. The so called “Blogging Wars” or debate on the internet as to whether or not these newer 5th generation “subcritical burn” nuclear weapons exist or not is a touchy issue to deal with. Since there is no physical proof as to their existence and vicious debate in the alternative media about them being recently used in the middle east, Yemen, Ukraine and most recently in China, it’s hard to prove either way. The key argument by the “Nay-Sayers” and the “Grammar Nazis” is the lack of fallout. This can be explained. The tactical nuke dropped on Yemen in 2014 was most likely a neutron type. In the older first generation weapons systems dating back over 70 years ago to the WW2 era, only 10% of the fissile material was consumed in the original explosion with over 90% being left over as fallout. They were very dirty weapons as compared to today. This is the concept that has set into the public’s mind ever since. The 90% of unburned fuel was simply used by the weapon as a neutron amplifier or multiple and nothing else. It added very little to the total explosive yield. Only the outer 10% of fissile material was actually used to make the explosion. This is why they were so dirty. In the newest 5th generation devices the uranium or plutonium fissile content has been drastically reduced by as much as 90% only leaving enough fissile material needed to ignite and trigger the internal fission-fusion-fission reaction of the deuterium boost gas. In this process, almost all of the fissile material is totally consumed, producing almost no detectable traces of fallout, as compared to the older designs from the WW2 era. Due to this advantage in “nuclear stealth technology”, almost any large scale explosion greater than 10 tons or more in TNT explosive power can now very easy be passed off as a conventional explosion. Remember, any explosion that leaves a crater greater than 6-feet wide or deep requires a molecular mass explosion of TNT that is greater than 4,000 lbs in weight or two tons of explosives. Most cars, small trucks or jet fighters cannot carry a weapon any larger than this in explosive power. So unless you have a B-52 or a B-1 or a B-2, forget it. It has to be a mini-nuke until proven otherwise. Just because there is no fallout doesn’t mean that it wasn’t a mini or a micro nuke. Look at the blast photos. A picture is worth a thousand words. Was there a bright instantaneous flash? Was it a single point or multipoint blast? Was there hydrocarbon residue left behind? Were secondary explosions involved? Was there evidence of very high temperatures and massive thermal damage involved? Was there incinerated or missing bodies involved? Was there an earthquake with a rapid unnatural spike registered on the seismometers? The list just goes on and on as to what to look for if you know what to look for. Glasstone’s 1958 book “The effects of nuclear weapons” is a start for those who really want to know, but it is over 55 years old and it has not been updated to cover anything new since solid core weapons designs were invented 70 years ago. There is no new “bible” on the newer weapons designs that is still not classified for a reason. They don’t want you to really know. So the “Nay-Sayers” base there arguments on outdated 70 year old information as to how nuclear weapons use to work back in 1945. Well we have come a long way since then baby. Allegedly we even landed on the moon? The damage pattern of a 15 kilotonne nuclear explosion superimposed over NYC. The Brooklyn Navy Yard would survive, Lower Manhattan would be toast. Scale the blast up to 15 megatonnes and the whole of NYC and it’s suburbs would be incinerated. The damage would extend from White Plains in the north to Middletown in the south. Any nuclear blast can be shaped or modified in the type of energy it releases. Either as Heat, Blast effect , X-rays, Gamma-Rays, EMP pulse or just pure neutrons etc. Any of this radiation can be directed in any direction or none at all. This was the basis of the 1980’s Star Wars program, exotic nuclear weapons and super Lasers at work. A nuclear blast can be directed in any direction acting as a nuclear shape charge, and it can be focused just like using a standard molecular anti-tank TNT based shape charge. A 1 kiloton B-61-11 nuclear bunker-buster will blast (melt) a hole 10-feet wide and over 1,000 feet long into solid granite. Larger versions will make even a bigger hole in the ground. They do not bury themselves into the bedrock and make a big crater. This is a common public misnomer on how they work. They melt the bedrock with a nuclear thermal plasma jet that is over 1 million degrees in temperature. When this hot plasma hits the underground command center or bunker, everybody inside the bunker will be instantaneously vaporized from the plasma jet. With higher yield B-61 weapons, any bunker that is less than 3,000 feet deep can be hit. This includes NORAD in Denver Colorado, etc. No modern underground bunker complex less than 3,000 feet deep can survive a hit from one of these new bunker busters. These tests were conducted as far back as the early 1960’s in the Nevada proving ground, and were covered up as simple underground tests. For further info on how these newer weapons work; see Nuclear physicist Ted Taylor’s book “The Curve of Binding Energy” by John McPhee, first printed in 1974. It covers in greater depth as to how these newer weapons work and how they were used on 911 to take down the World Trade Center. Ted wrote this prediction of their use on the WTC and in Fukushima Japan way back in 1974. He states that a single directed-energy nuclear weapon (a small bunker-buster) placed in the lower basement of the central core elevator shaft area of the twin towers, as small as 1KT, producing a nuclear plasma jet, directed upwards 1,000 feet with no blast effects detected from the outside of the building, and that this plasma jet would vaporize and melt the entire central core of the building dropping it into the ground. Remember this prediction was in 1974. Conventional vs Nuclear bunker busters. These newer 5th generation weapon designs are the anarchist “21st century” favorite toys of mass destruction. By covertly hiding their existence away from the general public and secretly using them in stealthy nuclear-based guerrilla warfare attacks on undesirable persons, governments or countries — such as the Saudi’s use of a small tactical nuke on Yemen or most recently in China — with these new weapons of “very small” mass destruction (tiny nukes for tiny minds), no non-nuclear possessing government can properly defend itself from this form of covert state-sponsored guerrilla warfare. THE REAL ISSUE IS NOT “WHETHER OR NOT THEY DO EXIST”, BUT WHO IS REALLY USING THEM AGAINST WHOM, AND WHY? Norway (the government of it’s deep state, mind you, i.e. the Pentagon ethnically married puppets to the Volks anf real Mensches) in the fifties and sixties send heavy water into the deserts ogf southern Palestine (biblical Judeah) Ten in sixties sent feeder radioactives to Dimona — I surmise thru franse on those motor torpedo boats stolen from deGaulle’s embargo harbour by ine Norwegia expert shiip owner — the best friend of later COnservative defence (i.e. attack) minister & Stay Behund leader Krieg Tiedeman (~~Grieg Kriegemann). All covered up by Haakon Lie due to pressure from his Mensch wife. ……. As we we discuss things and the name name saudi arabia recently keep coming up and as we further discuss saudi Arabia it becomes a fact realized that saudi Arabia is a way bigger headache than till recently thought ……. I can’t think of anything more dangerous, reckless and irresponsible than handing over more nuclear tech to the Saudis. It’s like giving a psychopath a machine gun. Insanity rules the tRump administration. Bolton, Pompeo, Pence and Kushner are all psychos. If tRump is beginning to show signs of mental decline, he won’t make it to 2020. It wn’t be the first time as Reagan also spent the second term in poor mental state. No one in their right mind should even consider providing such technology to the Saudis. The unthinkable has become fact and the world will suffer for it. Never trust the Saudis to act morally or responsibly. They are incapable. Those who created these terrible weapons must be burning in hell, if there is one. When the SHTF I’ll be taking the Verve out to the front porch and having a glass. If you can make your way to Elm drive. Please feel free to join me in a finial toast to humanity. It is becoming apparent that Donald Trump is making many public appearances and speeches with tell tale signs of dementia. He either is in severe mental decline or will use these obvious documented and televised incidents as evidence of his incompetence. This is how Trump will walk into the sunset of his golden years leaving the world to clean up the disasters he leaves behind.